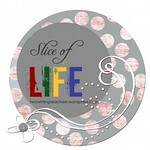 Now that the March Slice of Life Challenge is over, I'm on the schedule of Tuesday slices. Visit Two Writing Teachers for more slices today! 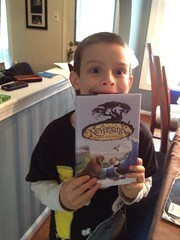 Puffin Love: a story of a young boy, an unusual favorite, and amazing tweeps. Most children, when you ask them, have rather standard answers to the question. 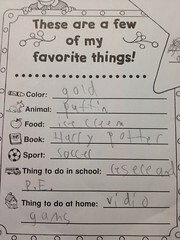 My second grade son, though, has never been “usual”. Every year in school the kids are asked to fill out a poster or a sheet describing them. This year was like every other. Scribbling quickly, Jared put down his standard answer. This year, though, was unlike many years in at least one regard. As a new member of the online twitter tribe that follows publishers and new authors, I knew there was a book on the horizon that featured the little buggers – Neversink by Barry Wolverton. I’d exchanged a few tweets with Kellie from Walden Pond Press about several other books, so I decided to shoot her a picture of his response. Several minutes later I got a response, “Do you mind if I retweet this?” Jared was ecstatic to learn about the book, and even more excited when I got a response from the author himself. He was just beaming. I put the book release date on my schedule, since I knew Jared would love it. Imagine my surprise when I heard that there was a copy Jared could have BEFORE the release date! Addressed directly to him, no less! Jared has been a card carrying member of the Nerdy Book Club for several years now, but I know this memory will be one that lasts forever. Since then, I’ve exchanged several tweets with both Kellie and Barry, and Jared is always thrilled. 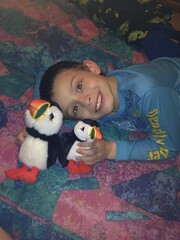 Jared has also been pestering me for several months (since a zoo visit at his school) to adopt a puffin. This seemed like the perfect time. He ordered himself a pair of stuffed puffins with his allowance, and also ponied up a chunk of the cash for the adoption itself. 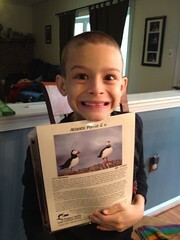 When he received the information about his puffin, he lit up like a proud puffin papa. This is love. Maybe puffins will become a part of his adult life, though right now he wants to be an inventor. Maybe it’s just a passing thing. Either way, this will be a book moment that he treasures for a lifetime.